Summer break has arrived, but while his other classmates are out having fun, Kimihiro Watanuki continues to work as compensation for the eccentric Yuuko in her shop. With the spirits and supernatural phenomena that bother him lessening, he pays his dues by cleaning, cooking, and doing whatever else the apparently lazy Yuuko needs. 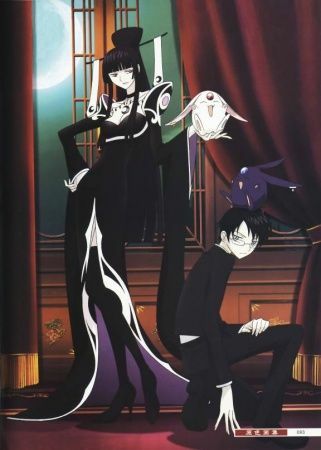 Watanuki, however, gets involved in a new predicament when Yuuko receives a mysterious invitation to a mansion whose owner seeks Yuuko's wish-granting ability. When he, Yuuko, and his classmate Shizuka Doumeki make their way to the peculiar residence, they meet others who were summoned by the same strange invitation. All of them are collectors of various unique items, drawn there by the chance to expand their collections. But as the collectors begin to disappear one by one, Watanuki and his companions must solve the mystery and put the case to rest, or find themselves in risk of danger.